Snow-powdered mountains; crystal waters; dense green forests. These sights certainly aren’t required to enjoy a stiff drink, but a little eye appeal sure amplifies the experience. To bring your favorite spirit into blazing Technicolor, you need to imbibe it in its natural habitat. Taste Japanese whisky on a mountain set high above sea level and Venezuelan rum while whizzing past the sugarcane fields. One sip at these stunning distilleries might spoil you for life—but booze tastes better with a view. No matter how you reach this picturesque distillery—by land, sea or air—you’ll want to take your time and soak up the scenery. 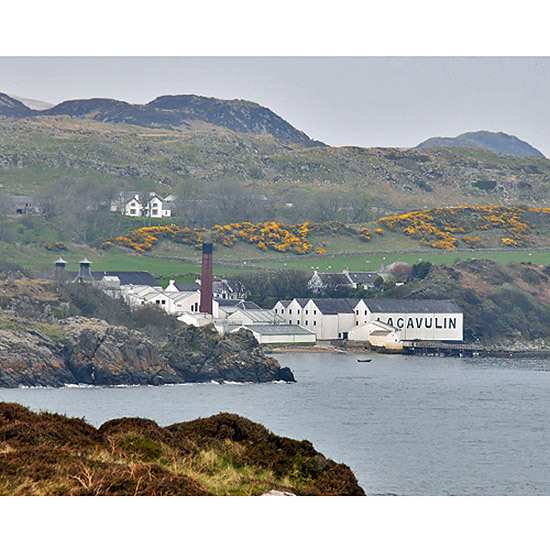 Lagavulin is perched by the bay in the South of Islay, Scotland’s famed whisky isle. The distillery opened in 1816, but records suggest that illegal distillation had been in place since 1742. Flanked by a brisk shoreline and jagged cliffs, you can almost witness the flavors of the island seeping into the whisky, leaving telltale traces of smoky peat and sea salt. Plan your visit. Four ordinary walls won’t suffice when you’re shielding a secret recipe from prying eyes. Bénédictine’s legendary infusion of herbs and spices is shrouded by an imposing Gothic palace that houses both a distillery and art museum. First created by a Bénédictine monk in 1505, the recipe for the mysterious herbal liqueur was eventually discovered by Alexandre Le Grand—tucked inside an old book. 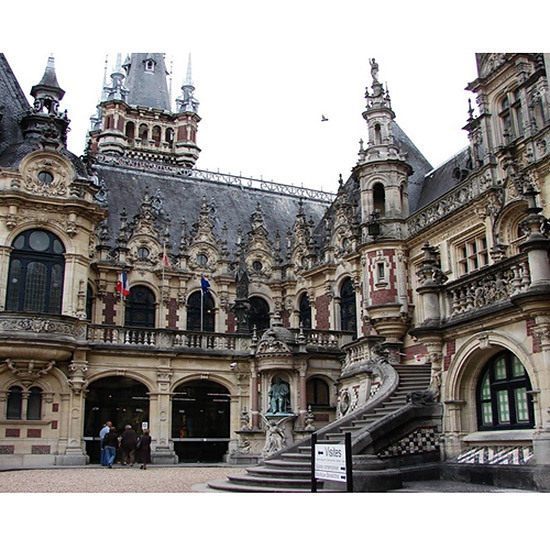 Le Grand resurrected the medicinal liqueur and began to market it vigorously, constructing the palatial distillery which he filled with historic art collections including books, sculptures and religious artifacts. Today, the contemporary art gallery inside hosts exhibitions from major artists like Salvador Dalí and Andy Warhol. Plan your visit. Think you’ve imbibed whisky at every possible elevation? You may have missed this lofty destination: Concealed inside a thick forest at the base of Mt. 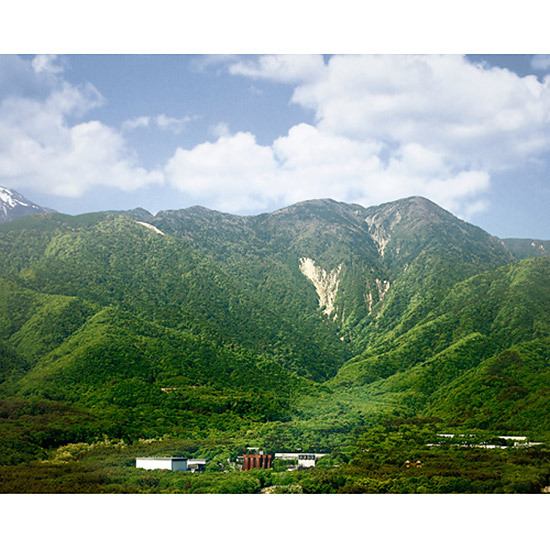 Kai-Komagatake, Suntory’s Hakushu distillery sits 700 meters above sea level. It’s the most remote distillery in Japan, and its proximity to the Ojira River imbues Hakushu’s whisky with a soft, green quality that sets it apart from other single malts. The distillery’s high elevation ages the whisky more slowly with less wood influence, allowing a fresh, herbal quality to shine. And if the panoramic mountain views aren’t soothing enough, visit the distillery’s on-site bird sanctuary. Plan your visit. The secret behind the oldest commercial distillery in the Western Hemisphere? Rich volcanic soil. Jose Cuervo’s La Rojeña distillery has been producing tequila since 1795, after the King of Spain granted Don Jose Antonio de Cuervo a fertile plot of land to use for growing agave. 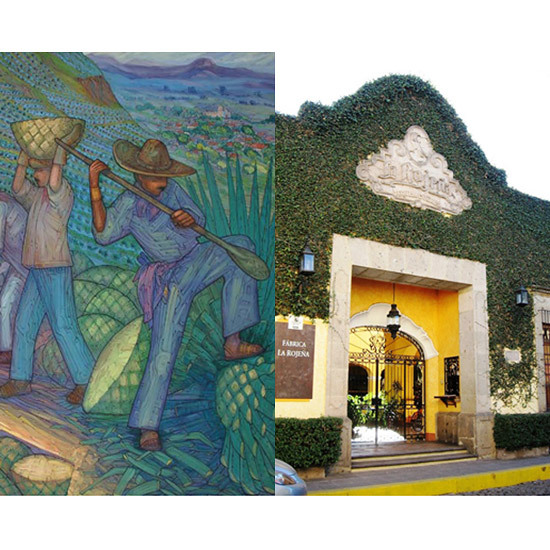 Meander through the distillery’s sunny courtyards passing the oversized trademark crow and sprawling murals to uncover the tequila-making process. A tour of the yellow-walled fortress will lead you by brick ovens for roasting agave, copper stills and endless aging barrels. On a lucky day, you might even reach the cellar that houses the brand’s most exclusive tequila, Reserva de la Familia. Plan your visit. File under “eccentric”: High West is a distillery of many firsts. 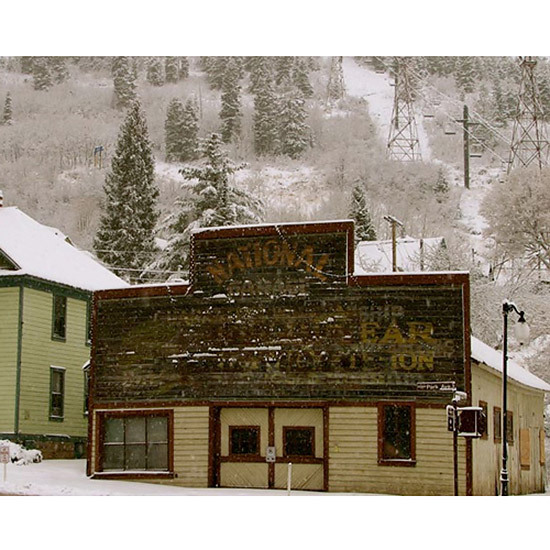 It’s Utah’s first legal distillery since 1870, but it’s also the world’s first “ski-in gastro-distillery.” Conveniently located at the bottom of the Quittin’ Time ski run next to the Old Town Lift, High West encourages visitors to park their skis on the distillery’s rack before sauntering inside for a drink. The available libations? A ragtag gang of pioneering whiskey blends like the Rendezvous Rye or High West Campfire, possibly the world’s first blend of Scotch, bourbon and rye whiskeys. Time to shake up your après-ski routine. Plan your visit. From paper to…gin? In its former life, this distillery was a paper mill used to produce banknotes for the British Empire during the 18th century. Once owned by William the Conqueror and Henry VIII, the mill’s story can even be traced back as early as the 1086 Doomsday Book. 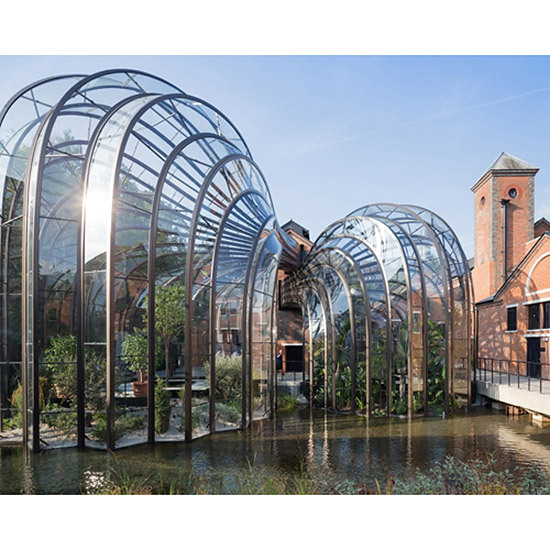 After years of abandonment, Bombay Sapphire transformed the historic structure into a striking example of environmentally-conscious architecture. The futuristic glass greenhouses nurture the 10 native botanicals used in Bombay Sapphire gins—one side caters to plants from a tropical climate, and the other mimics the Mediterranean. Plan your visit. 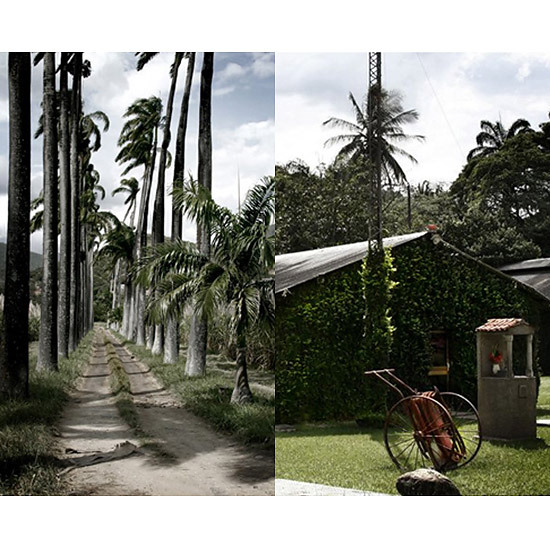 900 acres of sugarcane encircle the Santa Teresa distillery, which has been crafting rum since 1896. Originally established as a sugarcane plantation 100 years earlier, the Hacienda inhabits the Aragua Valley, one of the most fertile areas in the country. Santa Teresa is Venezuela’s oldest rum producer and has flourished into a formidable agricultural complex, capable of making 18 million liters of rum per year. All harvesting, distillation and bottling is completed on the lush, tree-lined estate, and the brand also grows the coffee and oranges used in its coffee liqueur and Rhum Orange. Plan your visit.